NEW YORK, NY--(Marketwired - July 14, 2016) - New add-on for Google Analytics provides new detailed information about more than 180 million companies and the people behind. 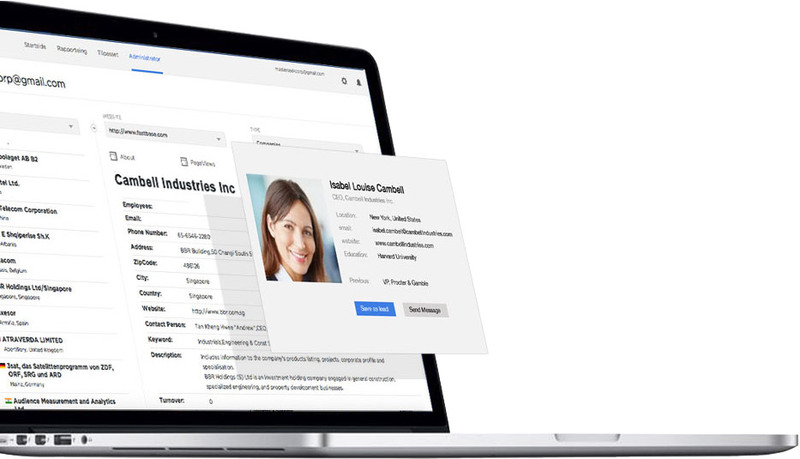 The new add-on gives you free access to detailed information about the companies that visit your website. The new add-on has become increasingly popular with Google Analytics users and provides thousands of new leads for businesses every hour. With the new add-on, you can quickly download the complete list of company's visitors directly to Excel or CSV file. Fastbase Inc. is incorporated in Delaware and owned by Masterseek Corp and Saqoia Corp.
About this company Fastbase Inc.